Ken McDaniel and Red Broadhurst have worked together on various projects for over a decade. They have a combined 31 years experience in fast paced dealership environments, and look forward to bringing friendly, quality service to you. Ken is a Honda Certified Master Technician. Only 15% of all Honda technicians ever achieve this status through the American Honda Training Center. In his free time, he enjoys boating, cooking and playing with his dogs. 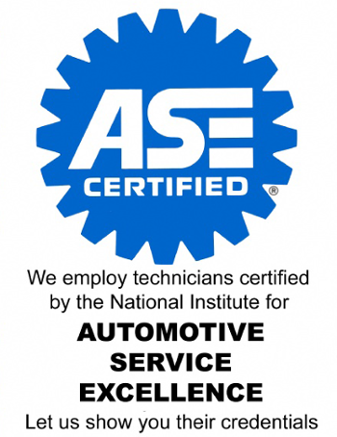 Red is an ASE Certified Master Technician, and moonlights as an Auto Mechanics instructor at Cape Fear Community College. He and wife Jessica are proud parents to 2 young children. 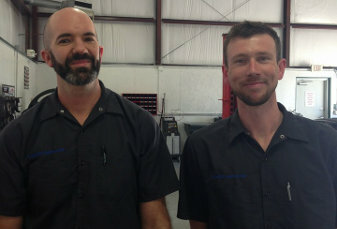 Here at Coastal, everyone associated with your car is responsible to make sure you have a good experience. Here’s how we work. Warrantied Work - Drive away with confidence and a 12 month or 12,000 mile warranty so you never have to come out of pocket twice for the same repair.